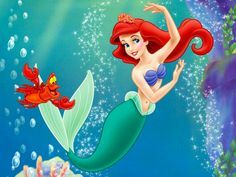 ← Find Your Fall Fashion Style! 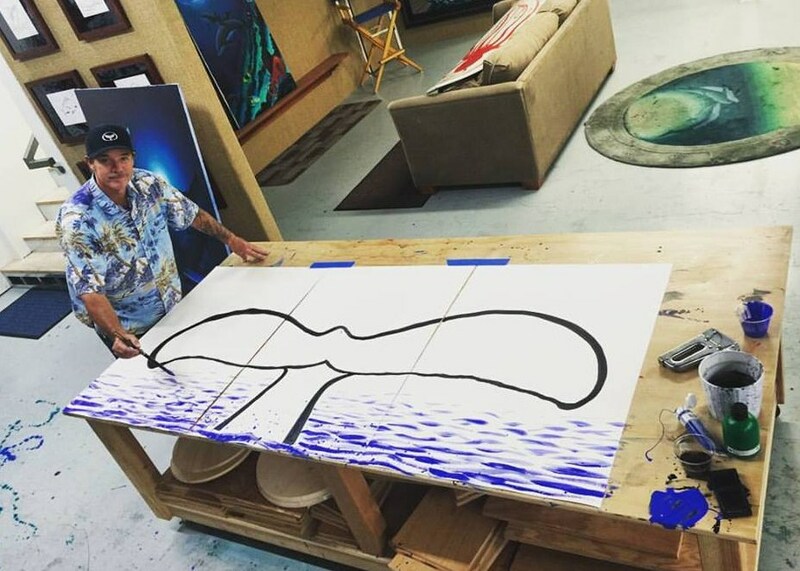 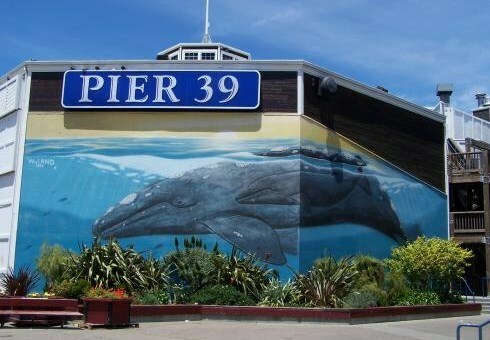 Wyland – A Whale of an Artist! 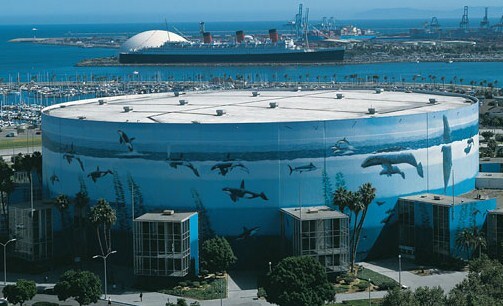 Big, bigger…Wyland! 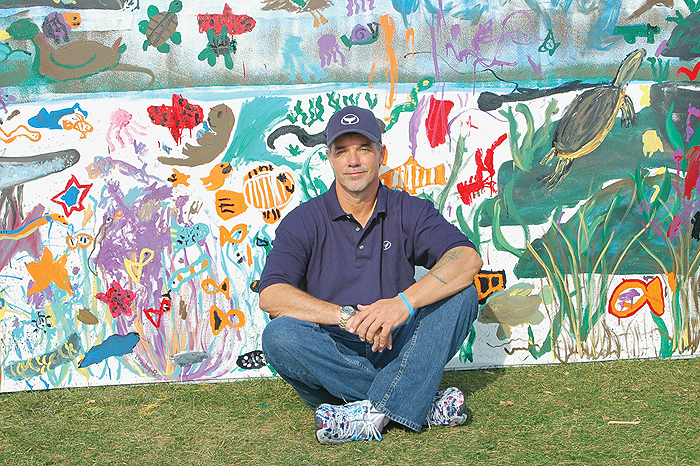 The paintings of world renowned marine life artist Robert Wyland are instantly recognizable, both for their vivid style and massive size. 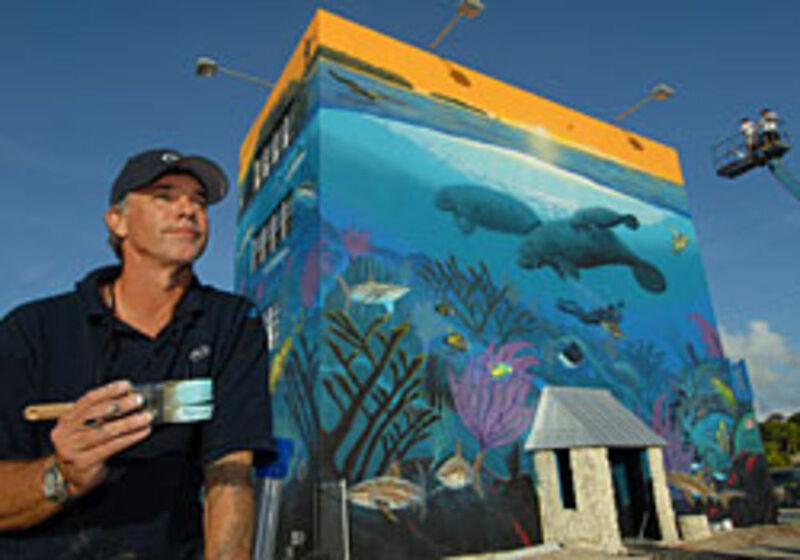 In the art world nobody does it bigger or better than Wyland, who just celebrated his 60th birthday this past summer (July 9th). 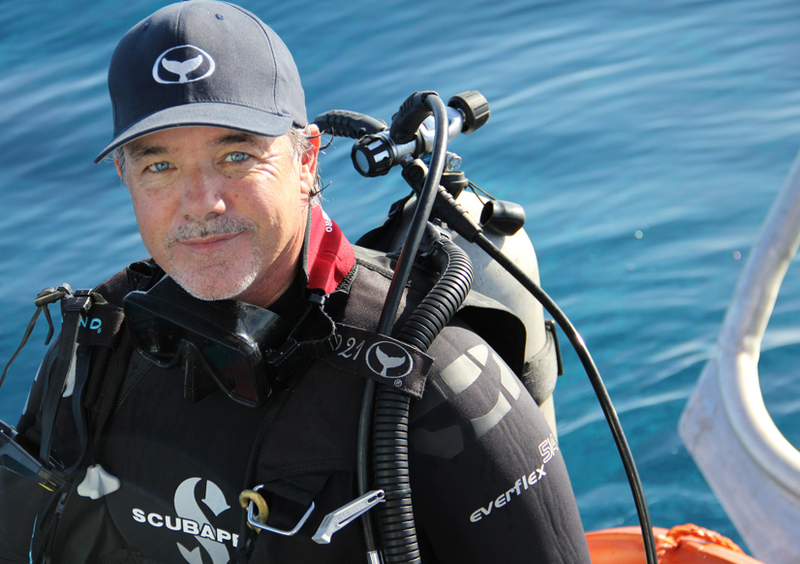 Since 1981 when he painted the first of his Whaling Walls life-size whales on the side of a Laguna Beach, California building, Wyland has been enthralling audiences with his visions of the life beneath the sea. 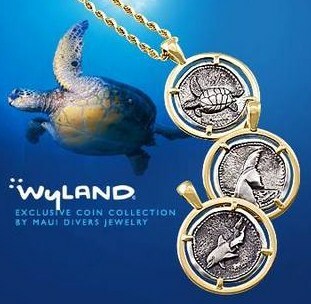 jewelry and even specialty license plates and postage stamps. 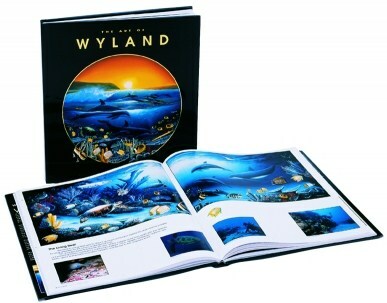 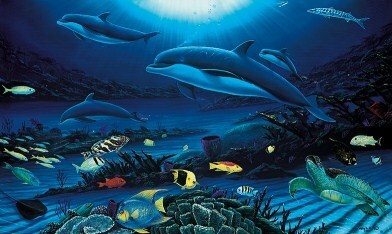 In addition to being an artist, Wyland is an explorer, scuba diver, entrepreneur and educator. 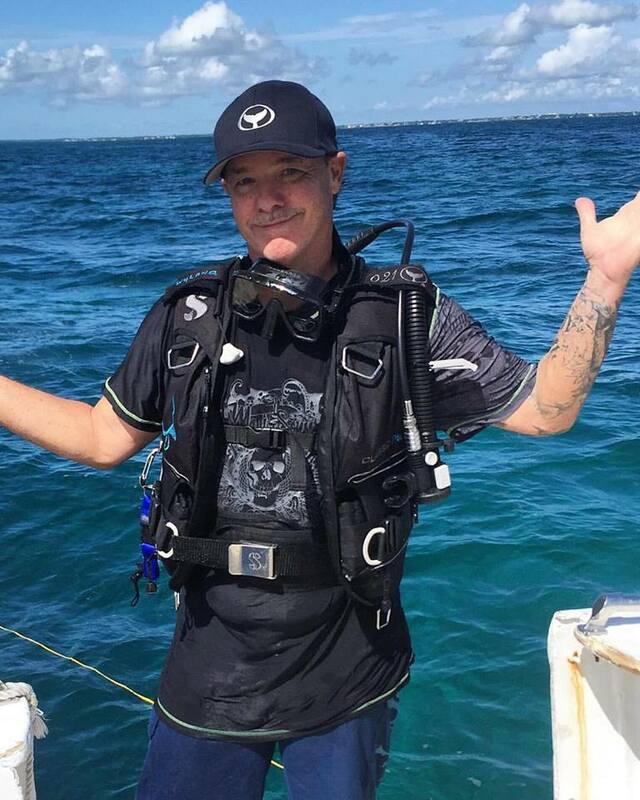 Whether it’s hosting Wyland’s Ocean World on the Discovery Channel, working with the United Nations or the National Oceanographic and Atmospheric Administration (NOAA), Wyland can be found enjoying and sharing his love of the ocean. 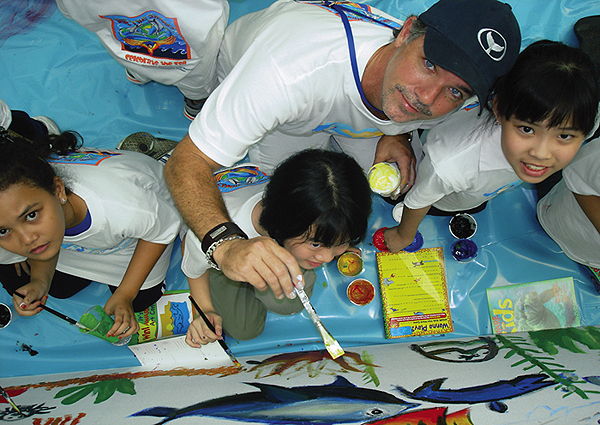 The foundation has worked with more than a million children, giving them tools to “become more creative, positive, and solution-oriented.” The Annual Wyland National Art Challenge encourages children to create murals, artwork and photographs that highlight environmental awareness. 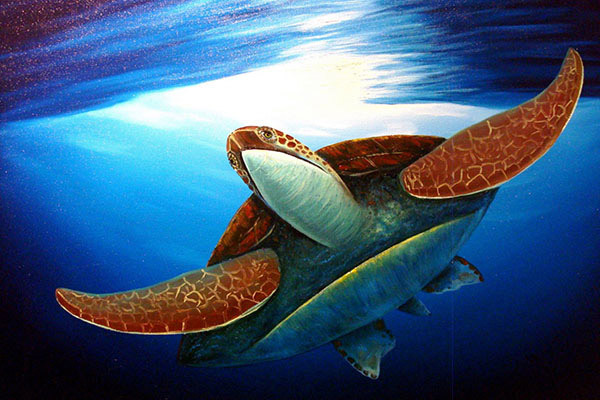 Now Wyland is celebrating his 20th anniversary of collaborating with a partner that’s also larger than life and known for boundless imagination – Disney. 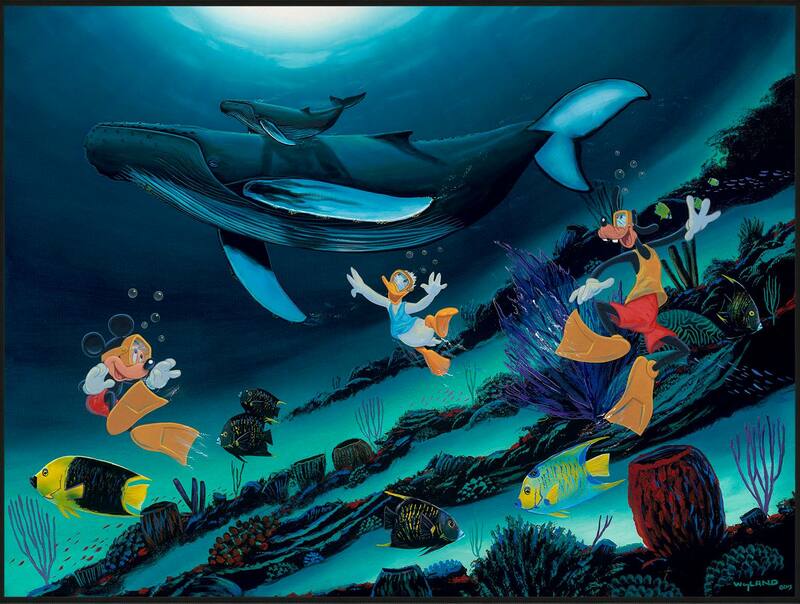 The Little Mermaid Ariel, Clownfish Nemo, Mickey Mouse, and other Disney characters have all been immortalized in Wyland’s signature style. 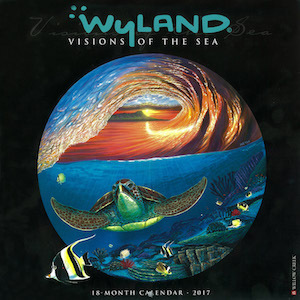 This is a song that’s clearly music to Wyland’s ears.